I was planning to include these in the Almanack, but since that's still some way off, and I've been working on these recently, I'll start to put them up here. I originally drew a series of historical maps of the Empire to go with my History five years ago or thenabouts, but because they were drawn on paper they had a number of limitations and were rather messy. After many years gathering dust I've finally been able to improve on them, and present them here. They are not 100% complete; in particular I'm still trying to find a good way of getting snow on the mountains, but they are getting there. They are also rather low-res, for which I apologise, but my current computer just can't handle high-res editing. This is the first one ready, depicting the Empire in roughly the year 1760 IC. If it doesn't show up in the forum post correctly, it can also be viewed here. Looks good to me. 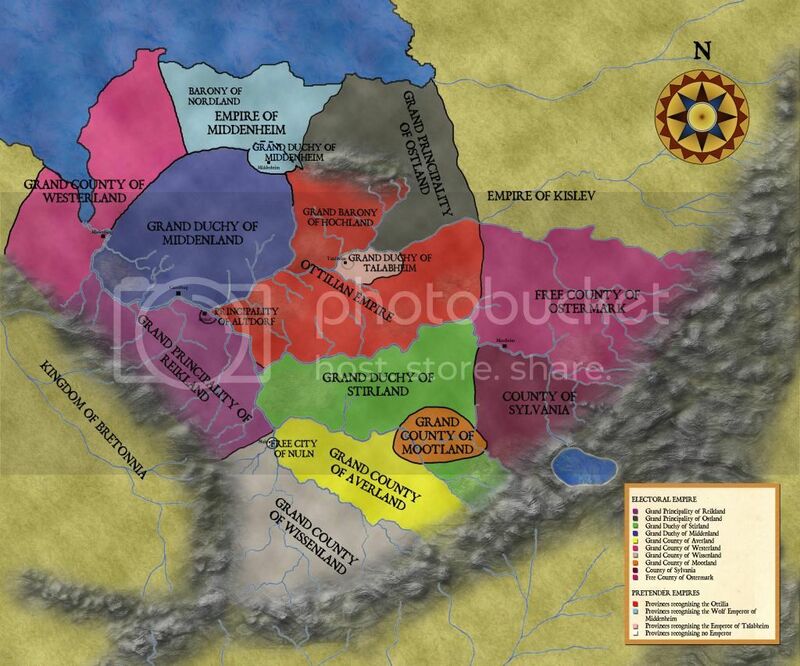 I've never really understood why GW chooses not to orient their map of the Empire with North off towards West. Maybe it's to disguise the fact that it's Germany. But you could forgive a lot of starting hobbyists for believing that the Olde World is like a layer cake with Chaos-Kislev-Empire-Bretonnia one on top of the other. Ath, I think I love you. Very interested, keep them coming. 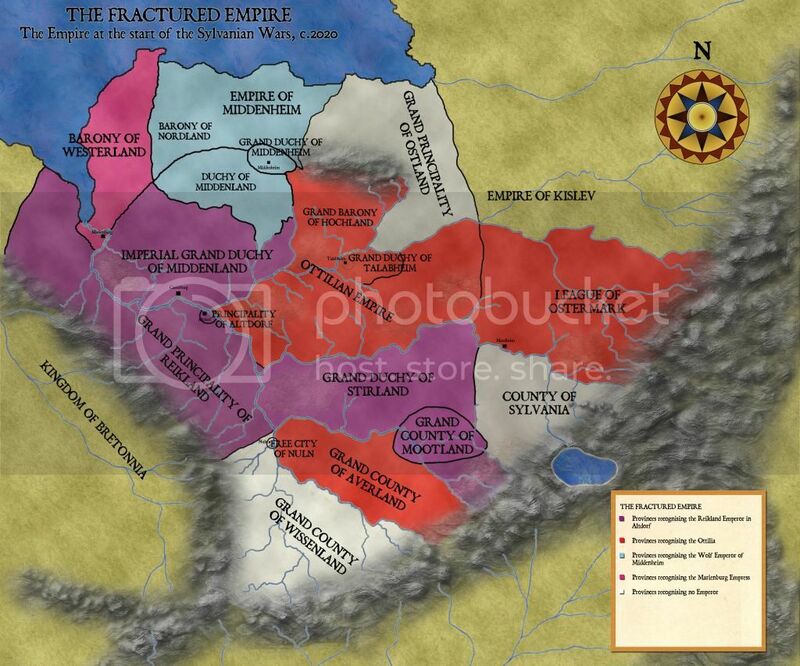 Here is the next one, showing the Empire a couple of years after Vlad's invasion. The electoral Empire has now largely broken down after the Magritta controversy. I have a few more that are almost ready, but I haven't done compass roses or keys for them yet.